Monsignor John Timmermans has been a long-standing member of the Avoyelles parish community for many years. He officiated over Sacred Heart Catholic Church in Moreauville, Louisiana until recently when he fell and broke his hip. After his stay at Christus St. Frances Cabrini Hospital, Monsignor Timmermans decided to receive therapy at Riviere De Soleil Community Care Center until he became well enough to return home. When Monsignor Timmermans first came to therapy, he required total assistance. He was in a severe amount of pain and unable to bear any weight in his legs, resulting in falls. Therapy was rough at first, and Monsignor went through bouts of feeling defeated. “He told us from day one to just push him to do whatever we needed from him, and he would end up giving in if it was a bad day. We completed standing tasks, some car transfers, practiced activities of daily living, and addressed safety to prevent further falls. 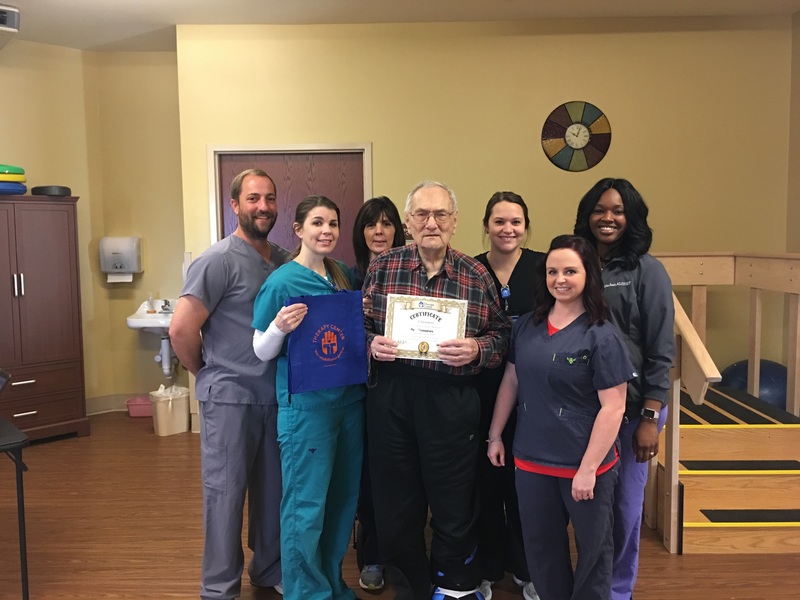 He started to enjoy exercising, walking and doing standing tasks,” says Caitlin, Physical Therapist. It was important to Monsignor to be able to stand for long periods of time during mass, and he wanted to have the ability to kneel and stand while he officiated service. Our therapists focused on standing tasks mostly since this was the most important goal for him. “The Therapy Center at Riviere de Soleil was a great help to me as it has been to many others, I am sure! Just to put up with a cranky old man demands special care! I’m going to miss the therapy staff and will leave them in my memory for the rest of my life. Deep down in my heart I’ll love this staff for the wonderful help they give to those who need it. God bless them abundantly and many happy and helpful days ahead,” says Monsignor John Timmermans. “I always enjoy treating a strong rehab candidate who is willing to work hard and return home. Monsignor Timmermans worked hard and always made us laugh with his witty sense of humor. 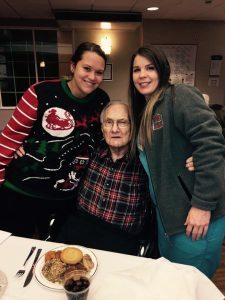 There were times we’d have to encourage him, but he put trust in us to get him back home,” says Alexandra, Certified Occupational Therapy Assistant. By the time Monsignor Timmermans left, even with a wound on his foot, he was able to walk with a walker, transfer himself and complete his activities of daily living with slight modifications. For more stories like this one, visit the Success Story section of the Therapy Center blog.